BLOOMINGTON – Ivy Tech Community College Bloomington participated in Naval Surface Warfare Center Crane Division’s STEM summer camp on June 11-15 at WestGate Academy. 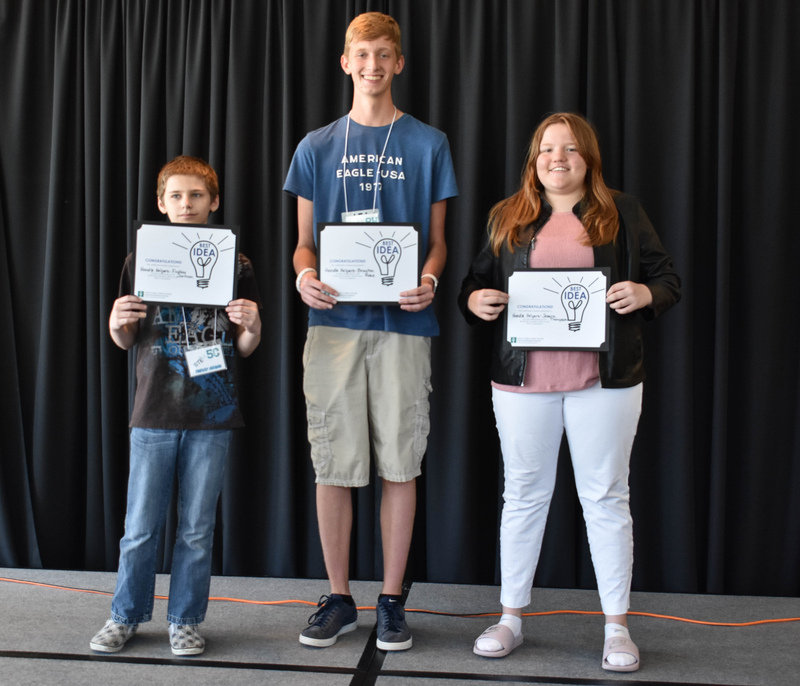 Ivy Tech staff from the Gayle & Bill Cook Center for Entrepreneurship helped 30 middle and high school aged campers develop products and business ideas stemming from patented Crane technologies, and also hosted a business pitch competition. Ivy Tech staff helped campers develop their pitches and served with Crane staff as judges for the competition. This is the second year that Ivy Tech has been involved in Crane’s STEM camp. 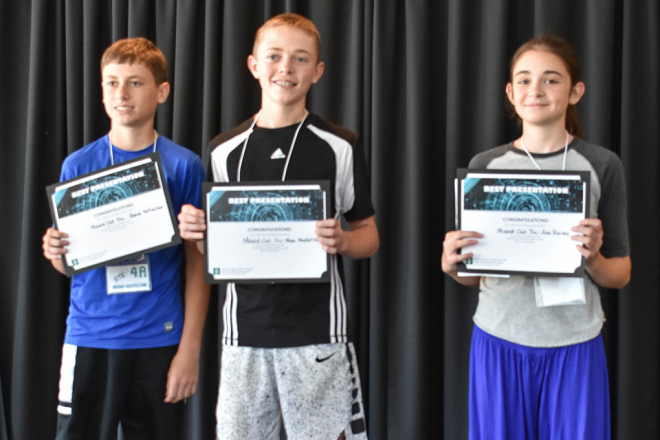 STEM campers won awards in three categories. The “Painters, Inc.” team won the award for best prototype. The team’s product adapted the Crane technology, “Adjustable Ergonomic Grip for a Weapon,” to be used in a paint brush handle. 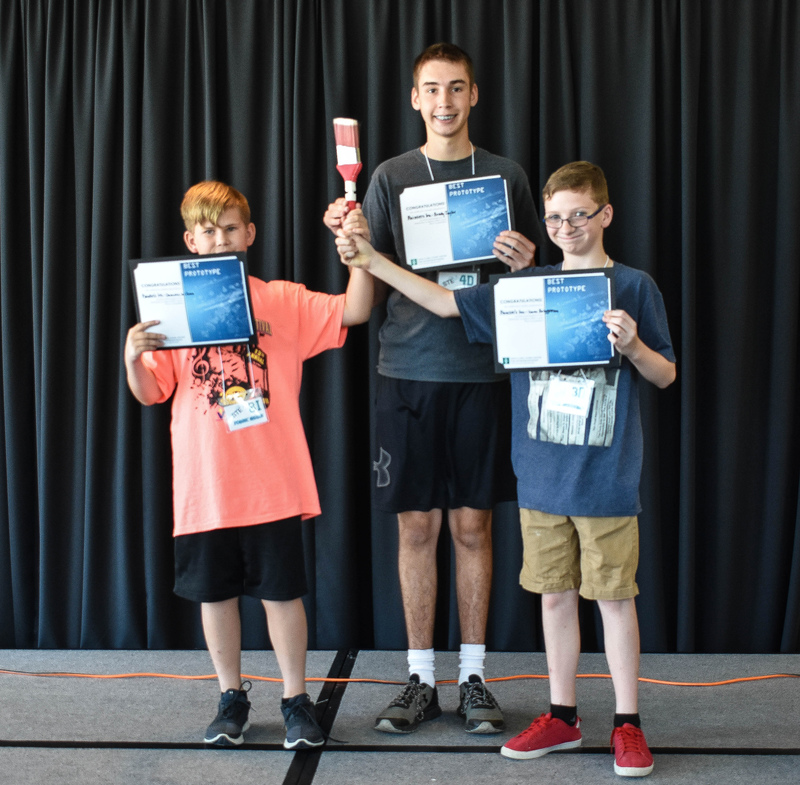 The “Maxed Out Pro” team won the award for best presentation of their idea to use the Crane hand crank technology, “System and Method for Charging a Weapon,” to power a generator. The “Handle Helpers” team won the award for best idea, which would reduce the amount of effort required for a person to move a wheelchair, using the Crane “Cable Reel” technology. Camp participants were from the cities of Bloomington, Bedford, Bloomfield, and Washington. For more information and to contact the Gayle & Bill Cook Center for Entrepreneurship at Ivy Tech, visit ivytech.edu/entrepreneurship or call (812) 330-6261.